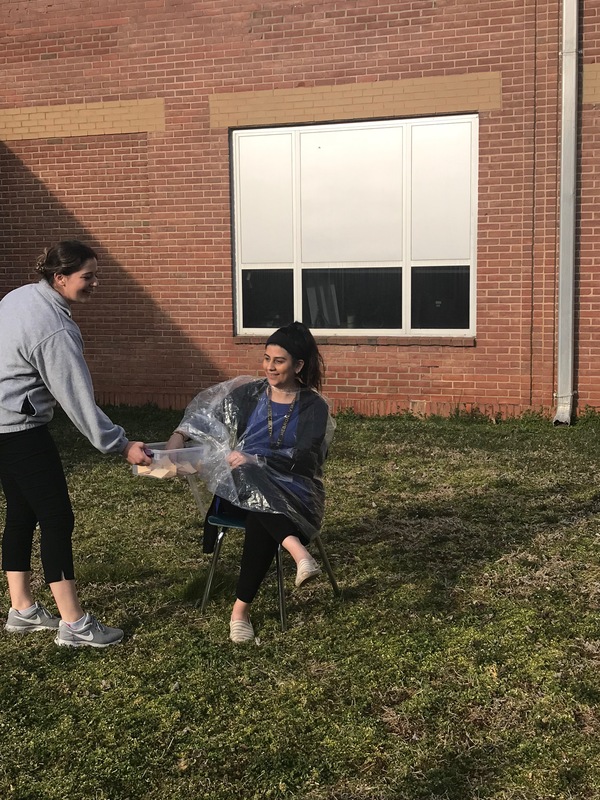 Teachers, Ms.Borgia and Ms.Riaz prepare to be pied by students. 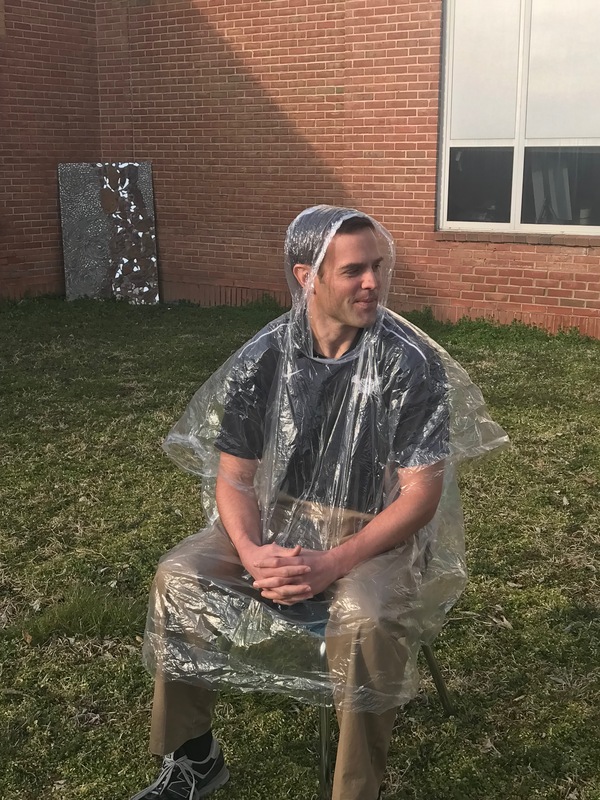 Social studies teacher Mr. Macheel waits to get pied. 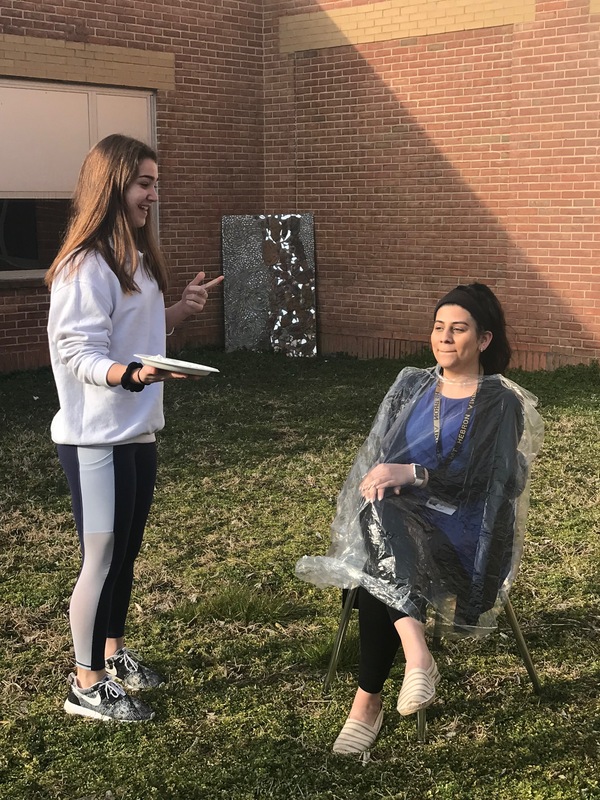 Freshman Karin Barrett pies math teacher, Ms. Riaz. 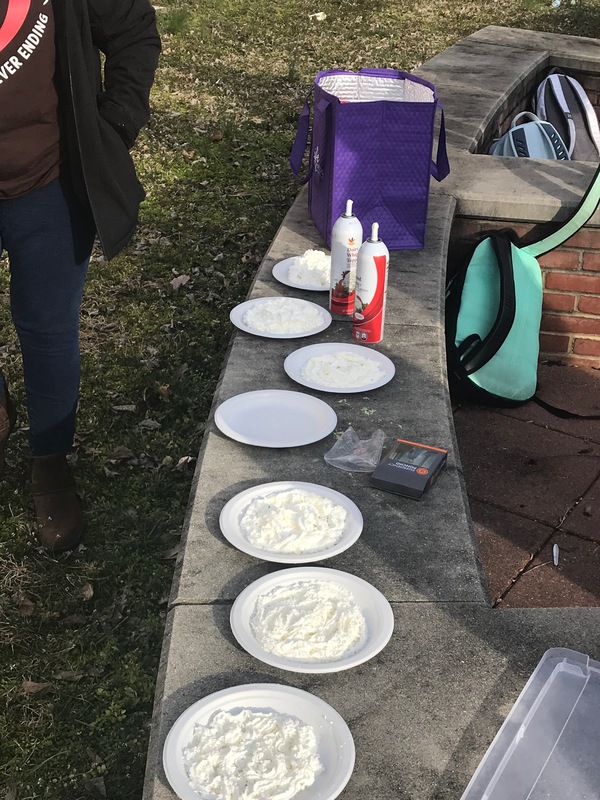 Students and teachers set up whipped cream “pies”. 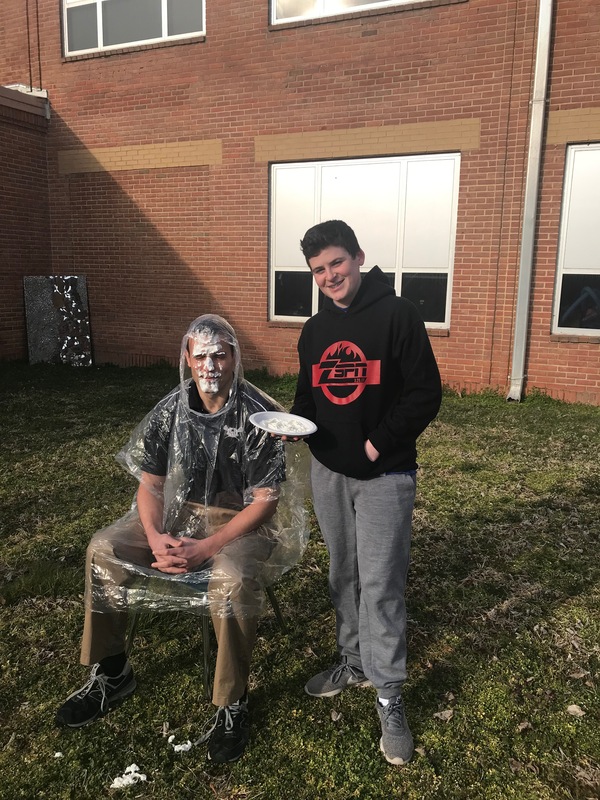 Freshman Zach Shindel pies social studies teacher Mr. Macheel. 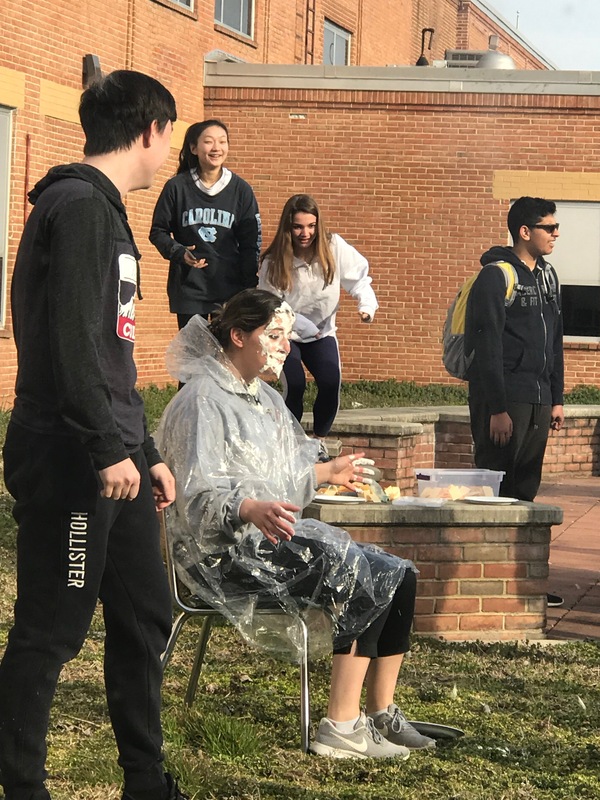 Senior Duvan Allen pies math teacher Ms. Borgia. 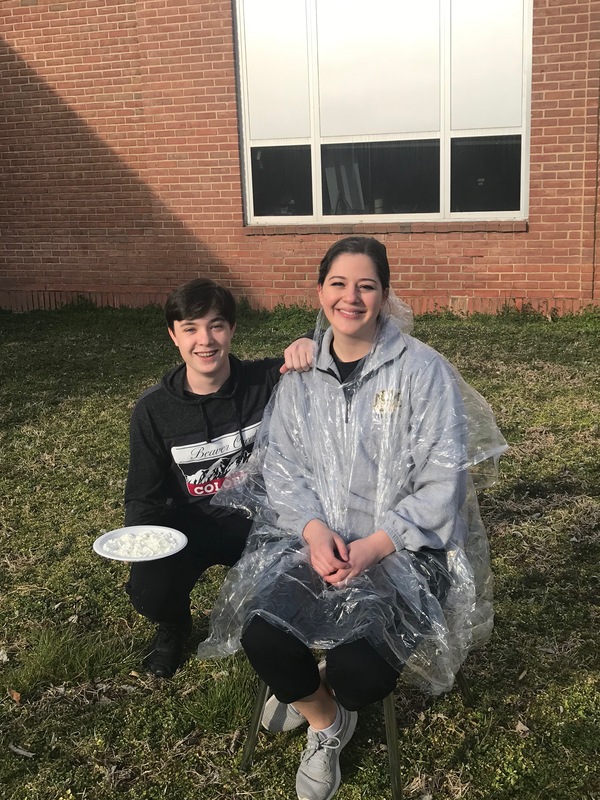 Junior Carter Gill pies math teacher Ms. Borgia. 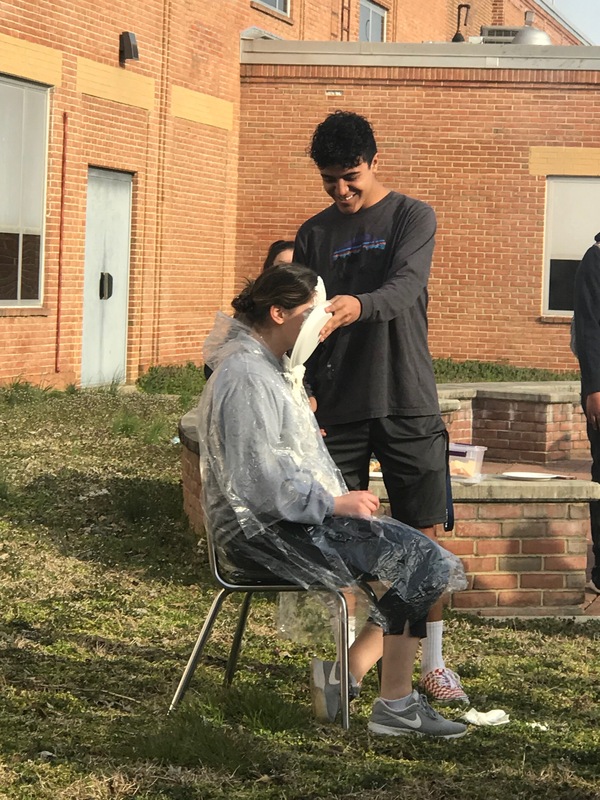 Math teacher Ms. Borgia after being pied by junior Carter Gill. 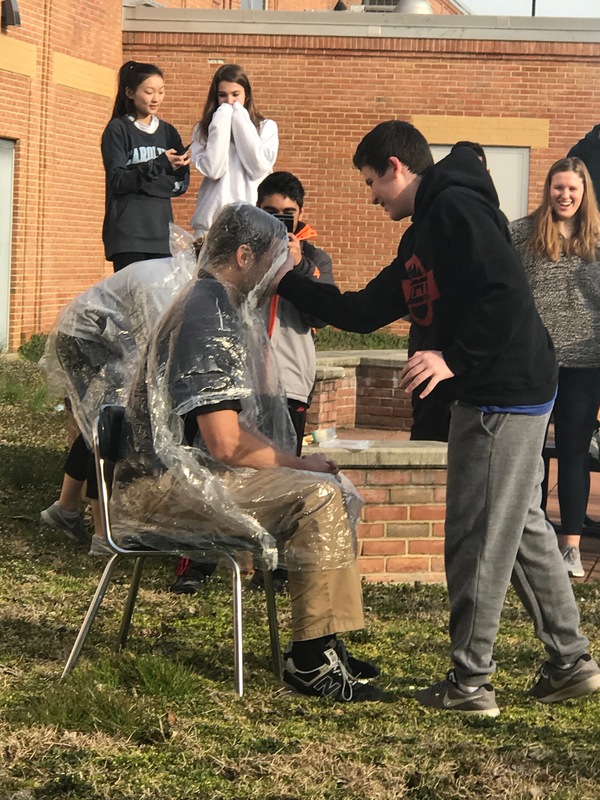 Social studies teacher Mr. Macheel after being pied by Freshman Zach Shindel. 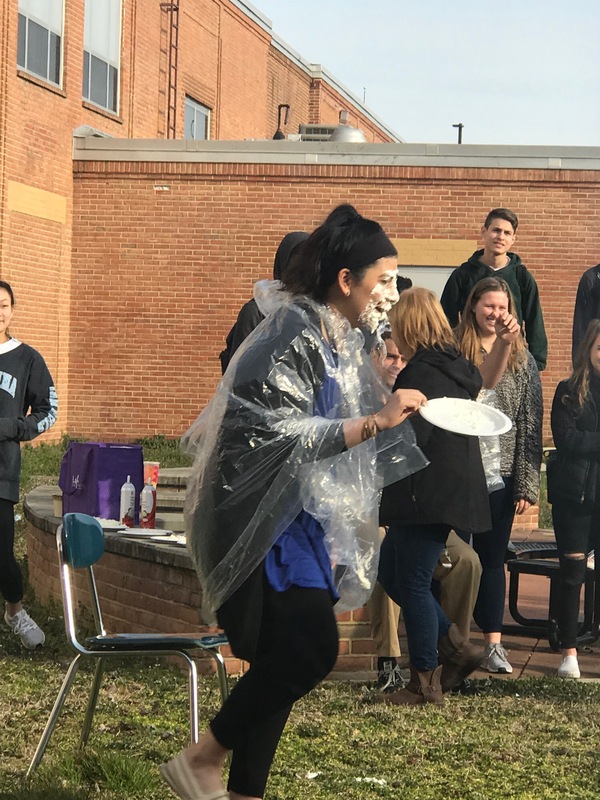 Math teacher Ms. Riaz after being pied.